Seven years after the Norwegian Labour Party, its youth group AUF and Norway’s Labour-led government at the time were attacked by a right-wing, anti-immigration extremist, hatred against the party is believed to have intensified. One local researcher notes that Labour has a long history of being a target of both hatred and conspiracy theories, which the Internet allows to flourish. 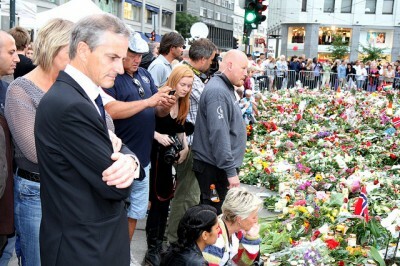 A current rash of hate messages has been directed at survivors of the right-wing terrorist’s attacks on July 22, 2011. They’re viewed as the next generation of Labour Party politicians, and the threats against them have prompted a police investigation. “After July 22, we said ‘never again,” and that hatred should not be allowed to become rooted in society,” Terje Emberland, a senior researcher at Oslo’s Center for Studies of the Holocaust and Minorities, told newspaper Aftenposten. He has also researched the history of conspiracy notions and hatred towards Norway’s Labour Party (Arbeiderpartiet). “There’s a lot now that indicates that hatred has become more intense and that there’s more harassment, more racisim and new conspiracy theories have emerged after Breivik,” Emberland said, referring to right-wing extremist who killed 77 people in his attacks seven years ago. He’s now serving what’s expected to be a life sentence in prison, but his white supremacist, anti-Islamic ideology has not been confined. Emberland and other experts on hate rhetoric and conspiracy theories interviewed by Aftenposten point to four main reasons Labour has become a target. The first is its early history of participation in an international communist movement between the two world wars. “There was a real fear among non-socialist parties that Labour would take over and steer society,” Emberland said. Labour had a revolutionary program but broke away from the communist movement in 1923 and followed democratic rules during the 1920s and ’30s. Labour went on to play a major role in Norway’s resistance to the Nazi German occupation during World War II and dominated Norwegian politics throughout the “nation building” of the post-war years. The second reason is Labour’s historic cooperation with what critics called “Jewish bolshevists” in Moscow, its ties to Israel’s Labour Party but also its sympathy and support for the Palestinians. “Now critics claim Labour is a tool for other ‘foreign” powers that want to take over Europe and Norway,” Emberland said. Anti-Labour rhetoric has evolved from being anti-Semitic to anti-Islamic. The rise of Islamophobia following attacks by Islamic terrorists has contributed to the anti-Labour rhetoric, without similar phobias against right-wing terrorists like Breivik gaining as much steam. Emberland noted that hatred is especially high against Labour politicians with Muslim background, like Hadia Tajik, even though such hatred isn’t seen to such a degree against Muslim politicians in the conservative Progress Party. Labour has also been tied to conspiracy notions that it steers Norway’s social welfare agencies like NAV and the child protection agency Barnevernet, which has been the subject of organized international protests. Finally, according to Emberland, Labour is accused of trying to secularize Norway and weaken its Christian roots. Some Christian conservatives are strongly skeptical towards Norway’s long-established social welfare state and blame it on Labour, according to Vebjørn Selbekk, editor of the Christian newspaper Dagen. He notes that many consciously ignore the differences between socialism and social democracy. The Labour Party has also been diving in public opinion polls this year after losing last year’s national election. It’s the hatred that’s arguably most disturbing, though, and harder for party leader Jonas Gahr Støre and his colleagues to tackle. He’s determined, though, to launch a party comeback after the summer holidays and become a more vocal and powerful leader of the opposition parties in Parliament.